Ireland: Kilkennt Journal Ltd, 1970 Book. As New. Soft cover. 1st Edition. First Edition, First Printing. This is a true first edition, first printing (first impression). A paperback original with no hardcover printed. 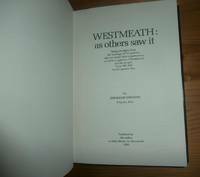 As new unread and unmarked. .
Wicklow, Ireland 1995 - : Wicklow Press Ltd, 2001 Book. Fine. Soft cover. 1st Edition. First Edition, First Printing. 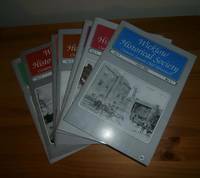 A full run of volume two , all seven inclusive of number 1 - 7 published yearly between July 1995 - June 2002. Fine to near fine, unread..
Dublin,Ireland: Whelan and Son, 1918 Book. Very Good. Hardcover. 3rd Edition. Third Edition, First Printing. original blue boards decorated in black, clean pages, seems unread, small mark to the top of the front endpage in the scarce original jacket, very good with rubbing to the extremities and a triangle missing from the center of the spine of the jacket, corresponding triangle shaped fade to the spine of the book. 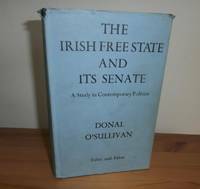 Scarce. .
10 South Frederick Street, Dublin 2: Press Cuchulainn Limited, 1964 Book. Very Good +. Soft cover. 1st Edition. First Edition. This is the true first edition, first printing (first impression), not a reprint of facsimile. pp. 14. 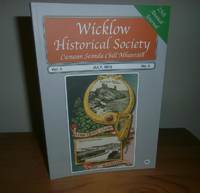 Slim pamphlet, clean with slight aging. .
Wicklow, Ireland 2002 - : Wicklow Press Ltd, 2008 Book. Fine. Soft cover. 1st Edition. First Edition, First Printing. A full run of volume three , all seven inclusive of number 1 - 7 published yearly between July 2002 - June 2008. 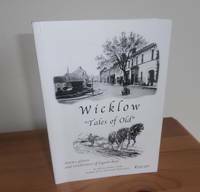 Fine to near fine, unread..
Wicklow, Ireland: Wicklow Press Ltd, 2012 Book. Fine. Soft cover. 1st Edition. First Edition, First Printing. 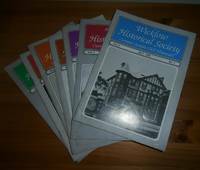 The 25th Annual Journal. Published to celebrate the 25th issue in July, 2012 Fine. Wicklow, Ireland: Wicklow Active Retirement Association, 2006 Book. Fine. Soft cover. 1st Edition. First Edition, First Printing. This is the first edition, first printing (first impression. Stories, photos and recollections of bygone days. 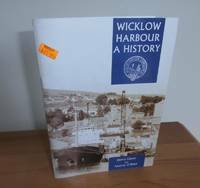 A fine unread copy and a uncommon publication long out of print. .
Wicklow, Ireland: Wicklow Harbour Commissioners , 2001 Book. Fine. Soft cover. 1st Edition. First Edition, First Printing. 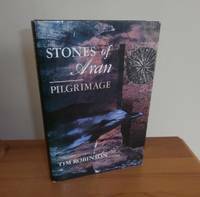 This is the first edition, first printing (first impression) with 'First Published 2001' to the copyright page. A fine unread copy and a uncommon publication long out of print. .
London, United Kingdom: Faber and faber, 1940 Book. Very Good. Hardcover. 1st Edition. First UK Edition, First Printing. 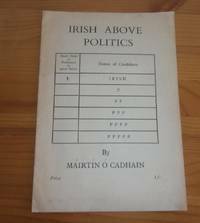 This is a true first edition, first printing (first impression), a clean unmarked copy in a good price clipped jacket with chipping to the top of the spine of the jacket..
Enniscorthy: '98 Commemoration Asociation, 1959. Book. Fair. Soft cover. 1st Edition. First Edition.First Printing. P.p 116. This is a true first edition, first printing (first impression) copy, there is a heavy stain to the top right corner - about 1 1/2 inches in size from the beginning to the end of the book. Although it affects the top of the text it can still be seen and read through it. Original wraps and rest of text clean. Very Uncommon..
New York, USA: Vantage Press, 1959. Book. Very Good. Hardcover. Signed by Author(s). 1st Edition. First American Edition, First Printing. This is a true First edition, first printing (first impression) with 'First Edition' to the copyright page. Internally clean pages in original jacket with wear to the extremities of the jacket and one inch loss to bottom rear edge . Not price clipped, signed by the author to the front endpage. 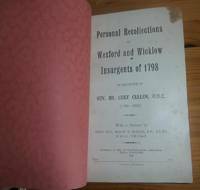 There is also a inscription, dated 1969, Limerick, from the Chairman of the Limerick Roger Casement association to the hlaf-title page. .
Dublin,Ireland: Ward River Press, 1981. Book. Near Fine. Hardcover. 1st Edition. First Edition, First Printing. This is a true first edition, first printing in a good jacket with some rubbing and wear to the spine and corners. Rubbing to the extremities of the jacket, unread and internally clean and tight. 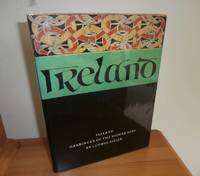 A nice copy of a very uncommon book..
Dublin, Ireland; New York, USA: Gill & Macmillan/St Martin's Press, 1980. Book. As New. Hardcover. 1st Edition. First Edition, First Printing. Octavo, pp. 612. 213-234 Index. Original brown cloth. Unread with clean pages, very mild spotting to a small portion of the topedge. . 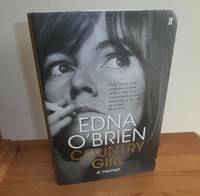 Original jacket with fade/sunning to the spine else fine. .
London,UK: Notting Hill Editions, 2012. Book. New. Hardcover. Signed by Author(s). 1st Edition. First UK Edition, First Printing. 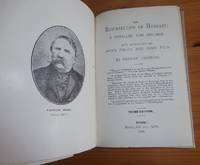 This true 1st Edition, first printing (first impression) with no reprint to the copyright page as called for to indicate a true first print. 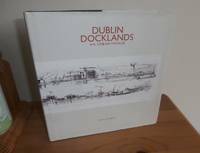 Signed by the editor John Banville to the title page..
Dublin, Ireland: Montague Publications group, 2009. Book. Fine. Hardcover. Signed by Author(s). 1st Edition. First Edition, First Printing. 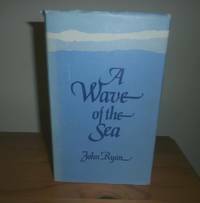 This is the true first edition, first printing (first impression) in a as near fine Dust Jacket with a small nick to the upper panel. Signed by Turtle Bunbury to the title page. Exceptionally uncommon with only print run. 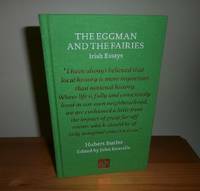 Large heavy book and extra postage costs may apply..
London, United Kingdom: Faber And Faber, 2012. Book. As New. Hardcover. Signed by Author(s). 1st Edition. First UK Edition, First Printing. 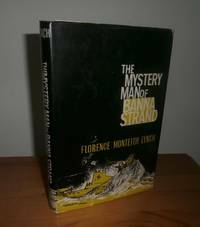 This is a true first edition, first printing (first impression) with a full numberline beginning with  to the copyright therefore indicating a true first print in a as new priced Dust Jacket. Clean tight binding, pages unmarked. 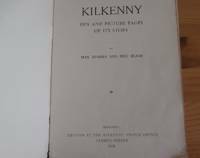 Signed by Edna O'Brien to the title page..
Kilkenny, Ireland: Kilkenny People Office, 1926. Book. Fair. Soft cover. 1st Edition. First Edition, First Printing. pp 110 + 94 (advertisements). original wrappers with wear to the extremities, loss to bottom section of the wrappers at the spine. Very Good internally, complete, folds to ccorners..
New York, USA: Viking, 1989. Book. Near Fine. Hardcover. 1st Edition. 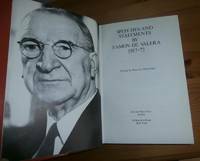 First American Edition, First Printing,This is a true first edition, first printing (first impression) with full numberline to the copyright page as called or. Light toning to the pages in a near fine price clipped jacket with some rubbing to the edges.. .
London, United Kingdom: Oxford University Press, 1963. Book. Very Good +. Hardcover. 1st Edition. First Edition, First Printing. This is a true first edition, first printing (first impression) not the later edition with corrections. In a very good plus Dust Jacket with rubbing to the corners.Internally unmarked with light spotting to the foreedge and top edge of the text block. Large heavy book and extra postage costs may apply..